Should you use a Forum or Facebook Group for your community? We’ve talked before on the blog about the value of having a community in order keep your members engaged and also to provide support, networking and encouragement. As you may have heard, people often join for the product but stay for the community (or something like that!). 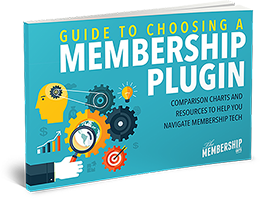 There’s a variety of ways that you could create a community for your membership site or course, but the two most common are without doubt on-site forums and Facebook groups. I’m guessing you probably belong to at least one of these already! Now, I’m an introvert through and through but I do love a good online community. I’m a member of several forums and more Facebook groups than I should probably admit to – some for paid products and memberships, others completely free. They’re a great way of communicating with people in a similar space to you and feeling connected in this big wide world. I spend quite a bit of time in these communities, and whilst some I can go days without checking in with, others I (almost obsessively) log in to every day at least once. I have to admit something here though, a lot of these communities I’ve never actually consumed all the content that goes along with them. For example I’ve been a member of Fizzle for over 2 years now, and I keep paying my membership because, whilst I don’t often go through the courses they have on offer, I like jumping into the forum when I have a spare minute. I’ve made some great connections there, had some interesting discussions and it’s something I’m happy to pay to stay connected with. Similarly, I’m also a member of Digital Marketer which operates a Facebook Group for its members. I don’t tend to talk too much in that group, but I find the posts interesting and am always picking up useful snippets – the knowledge in that group alone is worth the membership fee, never mind their actual membership content. It’s clear that community is often the key to a successful membership site, especially if your members can cancel any time. So, creating some sort of community is kind of a no brainer in my eyes. But should you use an on-site forum or a Facebook group? Lets take a look at the pros and cons of both. 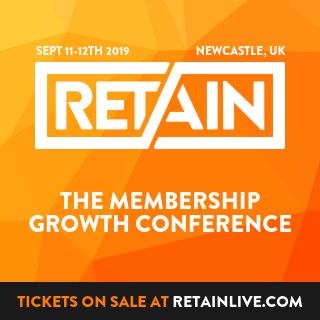 One of the major plus points of a forum for me is that it keeps a member on your site, which also increases the likelihood of them consuming your content whilst they’re there. Everything is in keeping with your brand and specific to your product, no adverts in the sidebar, no newsfeed stealing their attention, just pure focus on your community and product. This is a bit of a double edged sword however, as this also means that in order to use your forum, members have to purposefully go to your site, which, when there’s so much vying for their attention when they hit the internet, can easily slip down the priority list. The solution? Encourage your members to get into the habit of checking in to your forum as part of your member onboarding process. The onboarding process is also the perfect time to walk them through how to actually use the forum to avoid any tech issues, and to get them to complete their profile and introduce themselves to the community. Once people are hooked into the forum, they’re more likely to keep coming back for more. Forums do, no two ways about it, have better functionality than Facebook groups. You can split things into separate categories or sub forums to make it clear where certain topics should be discussed, you can easily see the newest posts as well as popular posts, search functionality is a lot better and your members can complete a full profile, usually with the ability to add a signature to the bottom of their posts too – which is great for ‘promoting yet not promoting’ their wares to other members. This profile is also completely private to the site, so members aren’t worrying about people seeing their personal profile and pictures of their kids/holidays/cats. So, the actual functionality of a forum isn’t really comparable with Facebook at all – it wins hands down every time. But, functionality may not be your biggest concern when selecting where to host your community – functionality doesn’t count for much if nobody uses it. It’s also worth bearing in mind that forums can be complicated to set up. Whilst a simple forum plugin like bbPress should be easy enough and will work automatically with many membership plugins, other more advanced forum software like IP.Board will require some tech knowledge to get set up properly. And here’s the truth – a forum isn’t an easy solution and will, generally, take some work to get your members using it and engaging well. You can’t just install the forum software and leave them to it (well, you can, but I’m betting it won’t end well). But with the right members the exclusive community feel can be great and do a lot for building your brand. The huge benefit to Facebook groups is that the majority of your members will likely already have a Facebook account, and more importantly will already be logging in weekly, if not daily (or, like me, have Facebook permanently open on their screen!). Many people also have a Facebook app on their smartphone or tablet, meaning they get instant notifications or can check in easily wherever they are. For convenience, it can’t really be beaten. Because most people already use Facebook, it’s a familiar concept for them and easy to use and can lead to much greater initial engagement from members. The flip side to this however is that in order to see your group they have to be logged in to Facebook, and that means you’re then competing for their attention with their main newsfeed, friends and any other groups or pages they follow. And some people may not even see posts to your group unless they specifically turn notifications on or go to the group directly (rather than relying on seeing posts in their newsfeed). It’s also important to bear in mind that yes, people are more likely to be logged in to Facebook, however the number 1 reason people use Facebook is to be social (or procrastinate from work!) so they’re not necessarily in the right mindset to be thinking or talking about your product. With a forum then yes, it’s more effort to log in, but you know once your members are there that they are engaged with your product and in working/learning mode, not ‘ooh, funny cat video’ mode. Whilst Facebook groups certainly aren’t immune to the tumbleweed effect, you’ll probably find that you need a lot fewer members to make a Facebook group look busy. Whilst increased engagement can be great, this also highlights one of the biggest flaws of a FB group – post turnover can be pretty rapid in a busy group and it can be difficult to keep track of what’s going on, especially when you reach over 1000 members. Coupled with an underwhelming search function this means that there isn’t the same kind of ongoing value in older posts as there can be on a forum. Finally, whilst you need to work a little harder to get engagement with a forum, with a Facebook group you need to work a little harder to vet your members. With a forum access will usually be controlled by your membership plugin – when they signup they automatically get access to the forum, if they cancel they automatically lose access. You don’t have that with Facebook – you’re reliant on the member requesting access to the group, and you would then need to check them against your paying members to make sure they should have access. Once that’s done you can let them in, BUT, you need to also make sure that you manually remove any cancelled members from the group too. It might not sound like much, but if you’re dealing with multiple signups daily, it can really add up. For a free group you could just allow anyone access, but for a paid product you really want to make sure that your members have the right to be there, otherwise it takes away any exclusivity and value. Not to mention opens the doors to spamming hell! Is the community an add-on to your course or membership site (i.e more for general questions and support than an integral part of your product)? If so, a Facebook Group is your best bet. Is the community actually a core part of your membership site and a major selling point? If so, an onsite Forum is my first choice. If in doubt, ASK your audience. You might think a forum is a great idea, but if your members won’t use it, you’re wasting your time. Similarly, you might presume members would prefer Facebook, but actually they crave an easy to read and search forum where they can have more indepth discussions. So, if you’re looking for quick and easy engagement go for a Facebook group, if you’re looking for better functionality and product focus go for a forum. 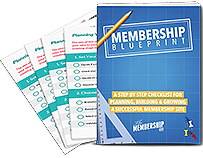 As with all things membership site, the best option is the one that suits your needs and goals – but don’t be afraid to just pick an option and see how it goes. Whichever you choose, the most important thing is to actually have that community element in order to keep members engaged with your product.